As part of my new diet initiative to feel better (and of course to gain some extra room in my clothing), this include an dedicated effort to get away from caffeine as much as possible, at least at this delusional NEED level. 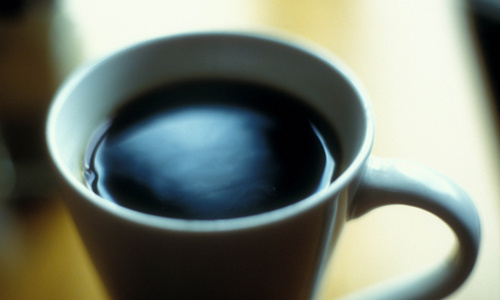 For all of its wild popularity, caffeine is one seriously misunderstood substance. It’s not a simple upper, and it works differently on different people with different tolerances—even in different menstrual cycles. But you can make it work better for you. We’ve covered all kinds of caffeine "hacks" here at Lifehacker, from taking "caffeine naps" to getting "optimally wired." And, of course, we’re obsessed with the perfect cup of coffee. But when it comes to why so many of us love our coffee, tea, or soda fixes, and what they actually do to our busy brains, we’ve never really dug in. While there’s a whole lot one can read on caffeine, most of it falls in the realm of highly specific medical research, or often conflicting anecdotal evidence. Luckily, one intrepid reader and writer has actually done that reading, and weighed that evidence, and put together a highly readable treatise on the subject. 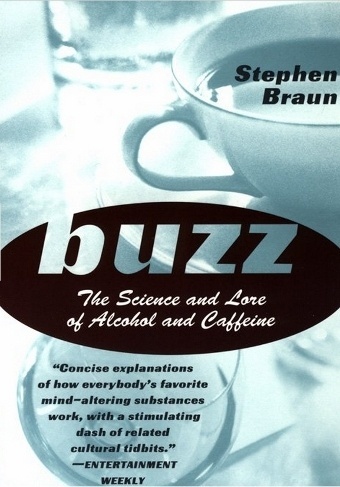 Buzz: The Science and Lore of Alcohol and Caffeine, by Stephen R. Braun, is well worth the short 224-page read. It was released in 1997, but remains the most accessible treatise on what is and isn’t understood about what caffeine and alcohol do to the brain. It’s not a social history of coffee, or a lecture on the evils of mass-market soda—it’s condensed but clean science. Right off the bat, it’s worth stating again: the human brain, and caffeine, are nowhere near totally understood and easily explained by modern science. That said, there is a general consensus on how a compound found all over nature, caffeine, affects the mind. Every moment that you’re awake, the neurons in your brain are firing away. As those neurons fire, they produce adenosine as a byproduct, but adenosine is far from excrement. Your nervous system is actively monitoring adenosine levels through receptors. Normally, when adenosine levels reached a certain point in your brain and spinal cord, your body will start nudging you toward sleep, or at least taking it easy. 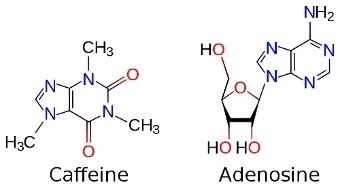 There are actually a few different adenosine receptors throughout the body, but the one caffeine seems to interact with most directly is the A1 receptor. More on that later. More important than just fitting in, though, caffeine actually binds to those receptors in efficient fashion, but doesn’t activate them—they’re plugged up by caffeine’s unique shape and chemical makeup. With those receptors blocked, the brain’s own stimulants, dopamine and glutamante, can do their work more freely—"Like taking the chaperones out of a high school dance," Braun writes in an email. In the book, he ultimately likens caffeine’s powers to "putting a block of wood under one of the brain’s primary brake pedals." It’s an apt metaphor, because it spells out that caffeine very clearly doesn’t press the "gas" on your brain, and that it only blocks a "primary" brake. There are other compounds and receptors that have an effect on what your energy levels feel like—GABA, for example—but caffeine is crude way of preventing your brain from bringing things to a halt. "You can," Braun writes, "get wired only to the extent that your natural excitatory neurotransmitters support it." In other words, you can’t use caffeine to completely wipe out an entire week’s worth of very late nights of studying, but you can use it to make yourself feel less bogged down by sleepy feelings in the morning. The general consensus on caffeine studies shows that it can enhance work output, but mainly in certain types of work. For tired people who are doing work that’s relatively straightforward, that doesn’t require lots of subtle or abstract thinking, coffee has been shown to help increase output and quality. Caffeine has also been seen to improve memory creation and retention when it comes to "declarative memory," the kind students use to remember lists or answers to exam questions. (In a semi-crazy side note we couldn’t resist, researchers have implied this memory boost may be tied to caffeine’s effect on adrenaline production. You have, presumably, sharper memories of terrifying or exhilarating moments in life, due in part to your body’s fight-or-flight juice. Everyone has their "Where I was when I heard that X died" story, plugging in John F. Kennedy, John Lennon, or Kurt Cobain, depending on generational relatability). Then again, one study in which subjects proofread text showed that a measurable boost was mainly seen by those who could be considered "impulsive," or willing to sacrifice accuracy and quality for speed. 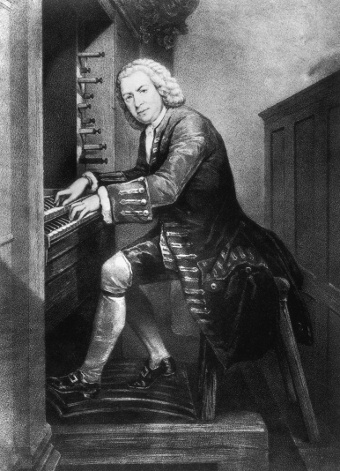 And the effect was only seen in morning tests, indicating the subjects may have either become lightly dependent on caffeine, or were more disposed to such tasks at that time of day. So when it comes to caffeine’s effects on your work, think speed, not power. Or consider it an unresolved question. If we’re only part of the way to understanding how caffeine effects the brain, we’re a long way to knowing exactly what kind of chemicals or processes are affected when, say, one writes a post about caffeine science one highly caffeinated afternoon. Why do so many patients coming out of anesthesia after major surgery feel a headache? It’s because, in most cases, they’re not used to going so long without coffee. The good news? If they wait a few more days, they can start saving coffee again for when they really need it. As one starts to regularly take in caffeine, the body and mind build up a tolerance to it, so getting the same kind of boost as one’s first-ever sip takes more caffeine—this, researcher can agree on. Exactly how that tolerance developers is not so clear cut. Many studies have suggested that, just as with any drug addiction, the brain strives to return to its normal function while under "attack" from caffeine by up-regulating, or creating more adenosine receptors. But regular caffeine use has also been shown to decrease receptors for norepinephrine, a hormone akin to adrenaline, along with serotonin, a mood enhancer. At the same time, your body can see a 65 percent increase in receptors for GABA, a compound that does many things, including regulate muscle tone and neuron firing. Caffeine, it’s been suggested, is probably not directly responsible for all these changes. By keeping your brain from using its normal "I’m tired" sensors, though, your caffeine may be causing the brain to change the way all of its generally excitable things are regulated. Your next venti double shot goes a little less far each time, in any case. 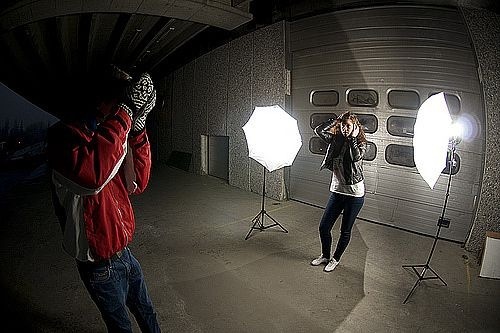 Photo by zoghal. A 1995 study suggests that humans become tolerant to their daily dose of caffeine—whether a single soda or a serious espresso habit—somewhere between a week and 12 days. And that tolerance is pretty strong. One test of regular caffeine pill use had some participants getting an astronomical 900 milligrams per day, others placebos—found that the two groups were nearly identical in mood, energy, and alertness after 18 days. The folks taking the equivalent of nine stiff coffee pours every day weren’t really feeling it anymore. They would feel it, though, when they stopped. You start to feel caffeine withdrawal very quickly, anywhere from 12 to 24 hours after your last use. That’s a big part of why that first cup in the morning is so important—it’s staving off the early effects of withdrawal. The reasons for the withdrawal are the same as with any substance dependency—your brain was used to operating one way, and now it’s suddenly working under completely different circumstances. Headaches are the nearly universal effect of cutting off caffeine, but depression, fatigue, lethargy, irritability, nausea, and vomiting can be part of your cut-off, too, along with more specific issues, like eye muscle spasms. Generally, though, you’ll be over it in around 10 days—again, depending on your own physiology and other factors. Beyond the equivalent of four cups of coffee in your system at once, caffeine isn’t giving you much more boost—in fact, at around the ten-cup level, you’re probably less alert than non-drinkers. So what if you want to start getting a real boost from caffeine once again, in a newly-learned, less-dependent way? Our own Jason Fitzpatrick has both intentionally "quit" coffee, as well as just plain run out of coffee. Being the kind of guy who measures his own headaches and discomfort, he suggests measuring your caffeine intake, using caffeine amounts in all your drinks, chocolate, and other "boosting" foods. 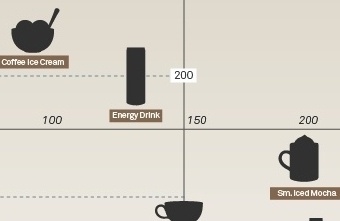 Wise Bread has a good roundup of caffeine amounts, and the Buzz Vs. 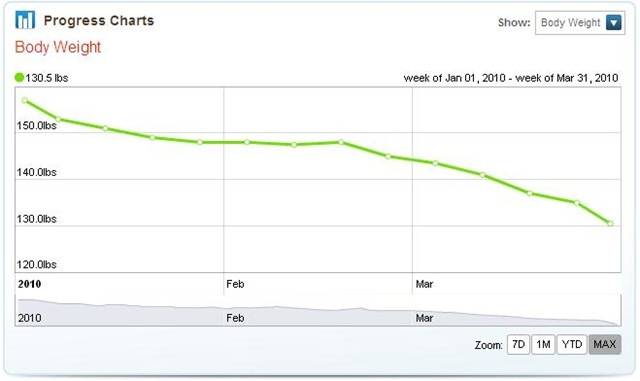 The Bulge chart also shows how many calories you’ll be cutting if you start scaling back. Once you know your levels, map out a multi-week process of scaling down, and stick to it. Jason also suggests that dependency kicking is a good time to start taking walks, doing breathing exercises, or other mind-clearing things, because, in his experience, their effects are much greater when caffeine is not so much a part of your make-up. In practical terms, this means that if you’d like to be able to turn to caffeine when you need it for a quick, effective jolt, it’s best to let your brain "dry out" for at least several days prior to administration. This is actually my current mode of consumption. I don’t regularly drink coffee anymore (gasp). This from a man who loved (and wore out) his home espresso maker. I love coffee in all its guises. But after 30+ years it wasn’t working for me. For one thing, the problem with caffeine is that there are adenosine receptors all over the body, including muscles. For me, that meant that caffeine made me vaguely stiff and sore, and it aggravated a tender lower back that was prone to spasm. But I also just wasn’t getting a clean, clear buzz from coffee…I drank so much, so regularly, that drinking an extra cup or two didn’t do a helluva lot except, perhaps, make me a little more irritable. So about a year ago I slowly tapered down, and now I have, if anything, a cup of tea (half black, half peppermint) in the morning. (The amount of caffeine from the black tea isn’t enough to wire a gnat.) Not only does my body feel better now, my brain is clean of caffeine, so I really want (or need) a good neural jump-start, I will freely…nay, ecstatically…indulge. Then I stop and let the brain settle again. That’s the theory, anyway…and it’s basically true, although I’ll freely admit that sometimes I have an espresso or coffee just because it tastes so damned good. 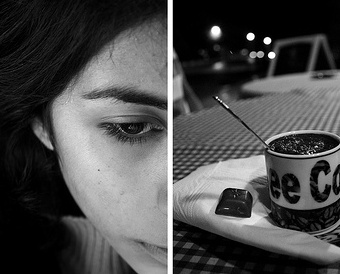 That’s our attempt at summing up the science and common understanding of caffeine in one post. There is, as you can imagine, a lot more to explore—Braun’s Buzz is a good starting point, but you’ll find your own way from there. What’s the most interesting thing you’ve learned about caffeine, either from reading or personal experience? Share the science in the comments. I have to tell you, that I am REALLY impressed with what my wife has accomplished with the challenge she put on herself on January 1st. She completely stuck with a 90 program to change her habits in life, diet, and exercise to a ‘T’ and shed 17% of her body weight! Good job babe! Enjoy your triumph on your birthday weekend!